Professor Nigel Perkins is from a mixed grazing property in south west Queensland and completed a veterinary degree at the University of Queensland, followed by a Master of Science at The Ohio State University and a PhD in veterinary epidemiology at Massey University, New Zealand. He has practiced as a veterinarian in Queensland, New South Wales and Victoria and has worked as a veterinary academic clinician at university veterinary schools in Australia, the USA and New Zealand. In 2003 Nigel was promoted to Associate Professor in veterinary epidemiology and Group Leader of the EpiCentre, an internationally acclaimed epidemiology research and consultancy centre within the Institute of Veterinary, Animal and Biomedical Science, Massey University. Nigel then joined AusVet - a private epidemiology consultancy company - in 2004 and became a Director of AusVet in 2007. Nigel joined UQ in February 2016 as Professor of One Health and Academic Superintendent within the School of Veterinary Science. In October 2017 Nigel was appointed as the Head of School of the School of Veterinary Science. 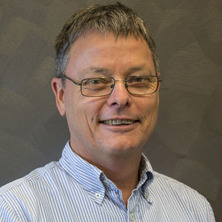 Nigel has held leadership roles in a number of organisations, including research program manager for the Horse R&D Program within the Rural Industries Research and Development Corporation (RIRDC), surveillance program co-ordinator for the Australian Biosecurity Co-operative Research Centre (AB-CRC), and Chief Examiner of the Australian and New Zealand College of Veterinary Scientists. He is the current Chair of the Thoroughbred Advisory Panel for Agrifutures Australia. Nigel is recognised nationally and internationally as a leader in the field of veterinary epidemiology. He has broad experience in investigations of animal health, welfare, production and disease in a number of species including sheep, cattle, horses, poultry, pigs, aquatic species, and wildlife, as well as experience in human health projects. He has been involved in many short-term projects in Asian countries associated with capacity building in animal health, transboundary animal disease preparedness and response, risk analysis and disease outbreaks. Nigel's work has a strong focus on improving animal health, production and welfare outcomes in Australian livestock as well as providing leadership within the veterinary profession and in the broader areas of science, food sustainability and one health. .
One Health encompasses issues that have impacts on veterinary medicine, human medicine and environmental health. Examples include zoonotic diseases (diseases of animals that impact human health), biodiversity, sustainable agricultural systems and practices that support general health and welfare for all. The study of patterns of health and disease in populations of animals, including studies focusing on disease, production and welfare. Application of statistical methods for experimental design, sample size estimation, power analysis and the use of advanced statistical analyses for deriving informaiton from complex datasets. Design, statistical analyses and reporting for clinical trials including drug development, registration and marketing type applications. Providing effective training focused on learning outcomes and practical skill development for undergraduate and post graduate students and for veterinarians and other professions aiming to develop advanced skills in epidemiology and statistics. Professor Perkins has been involved in a wide range of research activities as a university faculty member and as a private consultant. He has led teams investigating outbreaks of unknown or previously undescribed diseases in horses, small animals and aquaculture species both within Australia and internationally. Nigel played a key role in identifying and characterising processionary caterpillar exposure as a new cause of abortion in mares in Australia and developing risk management strategies for this condition. This work is currently being continued under an ARC Linkage grant in collaboration with researchers from the School of Biological Sciences and the School of Agriculture and Food Sciences. Nigel has been either a team leader or a co-investigator in numerous projects investigating production, health and welfare outcomes in livestock within Australia and overseas. In addition he has been involved in numerous projects with a one health application including projects involving avian influenza, zoonotic disease assessment in Asia, Q Fever, and Hendra virus. Nigel has particular interests in quantitative epidemiology and applied statistics as well as disease control, surveillance, risk analysis, risk factor studies, animal production, reproduction, welfare and zoonotic diseases. Best practice and patient safety in veterinary anaesthesia. Epidemiology for Field Veterinarians: An Introduction. Edited by Evan Sergeant and Nigel Perkins Oxfordshire, United Kingdom: CAB Internarional, 2015. Jubb, Tristan and Perkins, Nigel R. Veterinary Handbook for Cattle, Sheep and Goats. Sydney, Australia: Australian Livestock Export Corporation Limited, 2015. Jubb, Tristan and Perkins, Nigel Veterinary handbook for the live export industry, version 4.0. North Sydney, Australia: Meat &​ Livestock Australia and LiveCorp, 2012. Perkins, Nigel R. (2011). Epidemiology applied to horse reproduction. In Angus O. McKinnon, Edward L. Squires, Wendy E. Vaala and Dickson D. Varner (Ed. ), Equine reproduction Second edition ed. (pp. 2796-2802) Ames, Iowa, United States: Wiley-Blackwell Publishing. Perkins, N. R., Sebastian, M. M., Todhunter, K. H., Wylie, R. M., Begg, A. P., Muscatello, G., Gilkerson, J. R., Racklyeft, D. J., Chicken, C., Wilson, M. C., Cawdell-Smith, A. J. and Bryden, W. L. (2007). Pregnancy loss in mares associated with exposure to caterpillars in Kentucky and Australia. In Panter, K.E., Wierenga, T.L. and Pfister, J.A. (Ed. ), Poisonous Plants: Global Research and Solutions (pp. 165-170) United Kingdom: CABI Publishing. Perkins, N. R. (2009) Equine influenza in Australia. Microbiology Australia, 30 4: 129-131. Prowse, Stephen J., Perkins, Nigel and Field, Hume (2009) Strategies for enhancing Australia's capacity to respond to emerging infectious diseases. Veterinaria Italiana, 45 1: 67-78. Perkins, N. (2015). Statistics for Vets - preparing for and analysing bioequivalence data. In: Proceedings of the Australian Veterinary Association (AVA) Annual Conferences, Pan Pacific (NZVA and AVA) Veterinary Conference 2015, Combined Proceedings. Pan Pacific Veterinary Conference, Brisbane, Australia, (738-752). 24-29 May 2015. Fordyce, Geoffry, McCosker, Kieren, Smith, Dave, O'Rourke, Peter, Perkins, Nigel and McGowan, Michael (2013). Performance and production of North Australian beef breeding herds - findings from The Cash Cow Project. In: Proceedings of the Australian Cattle Veterinarians 2013 Conference. Australian Cattle Veterinarians 2013 Conference, Darwin, Australia, (105-111). 25-28 June 2013. Todhunter, K. H., Cawdell-Smith, A. J., Bryden, W. L., Perkins, N. R. and Begg, A. P. (2012). Histopathology of the feto-placental unit following experimental inductino of EAFL. In: Proceedings of the Australasian Equine Science Symposium 2012. 4th Australasian Equine Science Symposium, Gold Coast, Australia, (58-58). 13-15 June 2012. McCosker, Kieren D., McGowan, Michael R., O'Rourke, Peter K., Smith, David R., Fordyce, Geoffry, Burns, Brian M., Joyner, Di, Phillips, Nancy, Menzies, Don, Newsome, Tom, Perkins, Nigel R., Morton, John M. and Jephcott, Sandi (2011). Cash Cow-exposing northern breeder herd productivity. In: Proceedings of the Northern Beef Research Update Conference. Northern Beef Research Update Conference (NBRUC 2011), Darwin, Australia, (19-23). 3 -4 Augsut 2011. McGowan, Michael, McCosker, Kieren, Fordyce, Geoffry, Smith, Dave, Burns, Brian, Jephcott, Sandi, Newsome, Tom, Menzies, Don, Joyner, Di, Perkins Nigel and O'Rourke, Peter (2011). Cashcow for vets: Using foetal-aging to improve the reproductive management of beef herds. In: Proceedings of the AVA Annual Conference 2011. Australian Veterinary Association Annual Conference (AVA, 2011), Adelaide, Australia, (E3.1.1-E3.1.5). 15-20 May 2011. Todhunter. K.H., Cawdell-Smith, A.J., Begg, A.P., Perkins, N.R. and Bryden, W.L. (2010). Caterpillars and equine fetal loss: aspects of histopathology. In: 10th International Symposium on Equine Reproduction. 10th International Symposium on Equine Reproduction, Lexington, KY, U.S.A., (S351-S352). Elsevier BV. Cawdell-Smith, A. J., Todhunter, K. H., Perkins, N. R., Begg, A. P. and Bryden, W. L. (2010). Nocardioform like focal mucoid placentitis as sequelae to caterpillar exposure in mares. In: Proceedings of the Australasian Equine Science Symposium 2010. 3rd Australasian Equine Science Symposium 2010, Gold Coast, Australia, (15-15). 3-5 June 2010. Todhunter, K. H., Cawdell-Smith, A. J., Perkins, N. R., Begg, A.P. and Bryden, W. L. (2010). Pathology of mares aborting during equine amnionitis and foetal loss. In: Proceedings of the Australasian Equine Science Symposium 2010. 3rd Australasian Equine Science Symposium 2010, Gold Coast, Australia, (14-14). 3-5 June 2010. Cawdell-Smith, A. J., Todhunter, K. H., Perkins, N. R. and Bryden, W. L. (2010). Placentitis following exposure of mares to Processionary Caterpillars. In: Proceedings of the Australasian Equine Science Symposium 2010. 3rd Australasian Equine Science Symposium 2010, Gold Coast, Australia, (1-2). 3-5 June 2010. Todhunter, K. H., Cawdell-Smith, A. J., Perkins, N. R., Bryden, W. L. and Begg, A. P. (2008). Equine amnionitis and foetal loss: aspects of the pathology. In: Proceedings of the Australian Equine Science Symposium. Research for the 21st Century Horse Industry: From Genomics to the Winning Post., Gold Coast, Australia, (68-68). 4-6 June, 2008. Cawdell-Smith, A. J., Todhunter, K. H., Perkins, N. R. and Bryden, W. L. (2008). Processionary caterpillars are an abortifacient in mares. In: ASAP Proceedings - Animal Production in Australia. Australia & New Zealand Societies of Animal Production. First Joint Conference, St. Lucia, Queensland, (75-75). 23-27 June 2008. Cawdell-Smith, A. J., Todhunter, K. H., Perkins, N. R. and Bryden, W. L. (2008). Processionary caterpillars: their role in early pregnancy loss. In: Proceedings of the Australian Equine Science Symposium. Research for the 21st Century Horse Industry: From Genomics to the Winning Post., Gold Coast , Australia, (57-57). 4-6 June, 2008. Cawdell-Smith, A. J., Todhunter, K. H., Perkins, N. R. and Bryden, W. L. (2007). A role for caterpillars in the aetiology of equine amnionitis and foetal loss (EAFL). In: P. Cronje and N. Richards, Recent Advances in Animal Nutrition in Australia. Recent Advances in Animal Nutrition in Australia, Armidale, NSW, Australia, (247). 9-11 July, 2007. Bryden, W. L., Broad, T. E., Cawdell-Smith, A. J., Sillence, M. N., Perkins, N. R. and Hodgson, D. R. (2007). Australian Equine Science Symposium : An Overview. In: USA Equine Science Symposium (ESS 2007), Marriott Hunt Valley Inn, Hunt Valley , MD, (282-283). 5-9 June 2007. Cawdell-Smith, A. J., Burey, K. M., Perkins, N. R. and Bryden, W. L. (2007). Mare fertility following transport and separation from foal. In: USA Equine Science Symposium (ESS 2007), Maryland, USA, (256-257). 5-6 June, 2007. Burey, K.M., Cawdell-Smith, A J and Perkins, N. R. (2006). Effect of transport and separation from foal on mare fertility at first post-foaling service. In: Proceedings of the Australian Equine Science Symposium: Research for the 21st Century Horse Industry: From Genomics to the Winning Post. Equine Science 2006 : Australian Equine Science Symposium, Gold Coast, Qld, Australia, (43-43). 13-14 June, 2006. Perkins, N. R., Todhunter, H., Wylie, M., Begg, P., Gilkerson, R., Muscatello,, Racklyeft, J., Chicken,, Wilson, C. and Cawdell-Smith, A.J. (2006). Equine amnionitis and foetal loss (EAFL) identified as a cause of pregnancy loss in Australian mares. In: Proceedings of the Australian Equine Science Symposium: Research for the 21st Century Horse Industry: From Genomics to the Winning Post. Equine Science 2006 : Australian Equine Science Symposium, Gold Coast, Qld, Australia, (13-13). 13-14 June, 2006. Cawdell-Smith, A.J., Todhunter, K.H., Perkins, N.R. and Bryden, W.L. (). Stage of pregnancy and foetal loss following exposure of mares to processionary caterpillars. In: , United States, (339-340). .